The floating photovoltaic power station on the water has become a hot topic in the past two years. The water photovoltaic power station uses the water abutment to float the photovoltaic modules on the water surface for power generation. 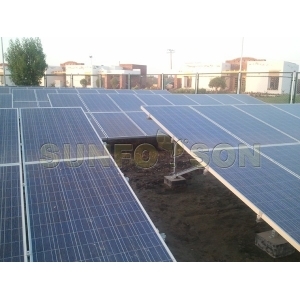 The feature is that it does not occupy land resources, and the water body has a cooling effect on the photovoltaic modules, which can suppress the rise of the surface temperature of the components, thereby obtaining higher power generation. In addition, covering the solar panels on the water surface can also reduce the amount of water evaporation, inhibit algae reproduction, and protect water resources. As early as 2011, the US Science Daily reported on floating photovoltaic power plants. The development of this technology broad is earlier than domestic ones. There have been some successful cases, and the country is still in its infancy. 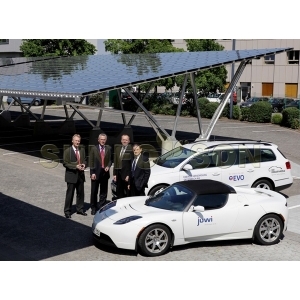 Japan is currently the country with the most practical application of floating photovoltaic power plants in the world. According to the statistics as of the end of 2014, 3.824MW has been connected to the grid. In 2015, approximately 15MW is expected to be connected to the grid, and another 15MW will be in early 2016 combined to the grid. Compared with Japan, the United Kingdom, South Korea, and other countries, there have been floating photovoltaic power plants, and China started late. 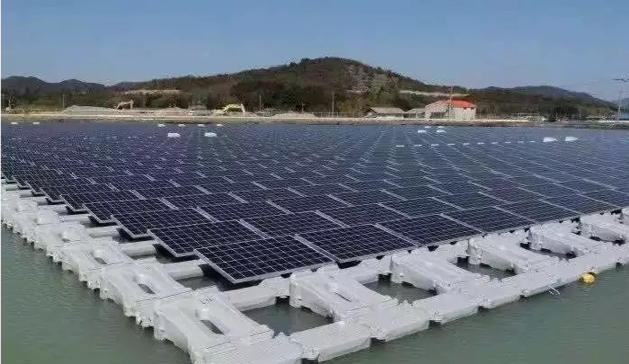 China's first surface floating photovoltaic power station pilot project will be built in Xionghe Reservoir, Zaoyang City, Hubei Province. It is planned to be completed and put into operation by the end of 2015.
the total installed capacity is 1200kW. In order to ensure the profitability of the project, it plans to install 1000kW on land and 200kW on the surface of the reservoir, accounting for about 2,000 square meters of water surface. On June 17, this year, the project completed the project registration in Zaoyang Development and Reform Bureau. In June 2015, Asia's largest domestic first large-scale surface photovoltaic system was completed in Linxi County, Hebei Province. 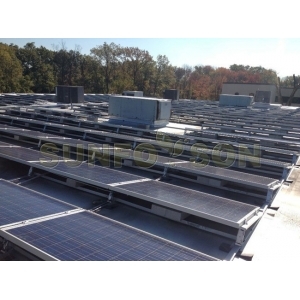 The system uses the entire surface photovoltaic system of Jiangsu Langhe Agricultural Light Polymerization Technology Co., Ltd., with an installed capacity of 8MWP. The project adopts the bracket that is floating on the surface of the water and is fixed by the chain of the shore, so it is not affected by the water level. During the storage period and the flood discharge period, it will not hinder the reservoir or affect its own power generation.